Oversea-Chinese Banking Corp (OCBC)'s 4Q17 PATMI of S$1,033mn was in line with our estimates. NII increased 14% y-o-y on the back of strong loans growth and higher NIM. WM fee income grew 38% y-o-y on the back of strong AUM growth. Net trading income weaker y-o-y and q-o-q as global FICC trading environment remains weak. Maintain BUY with a higher Target Price of S$13.94 (previous Target Price S$13.48) based on Gordon Growth Model. + Strong loans growth as global and domestic economic outlook improves. Loans grew 8% YoY outpacing Singapore domestic system loans growth of 5.4%. Loans growth was led by property related loans and general commerce. + Stronger NII on the back of better NIM and robust loans growth. NII grew 14% and NIM increased 4 bps higher y-o-y to reach to 1.67% as Singapore and Hong Kong benchmark rates rose sharply in 4Q17. Higher rates on interbank placements also supported the NIM expansion. + Income was boosted by strong performance in WM and Insurance. Total WM income jumped 54% y-o-y and 34% q-o-q to hit S$944mn. OCBC’s private banking arm, Bank of Singapore’s AUM grew 25% in 2017 to reach S$99bn. Insurance income continued the strong profit growth in 4th quarter due to the repositioning of assets and liabilities in the Non-Participating Fund insurance business. + Cleaned up substantial portion of the offshore oil and gas exposure. NPL ratio rose to 1.5% in 4Q17 from 1.3% in 3Q17 on accelerated recognition of NPA from the offshore oil and gas sector. 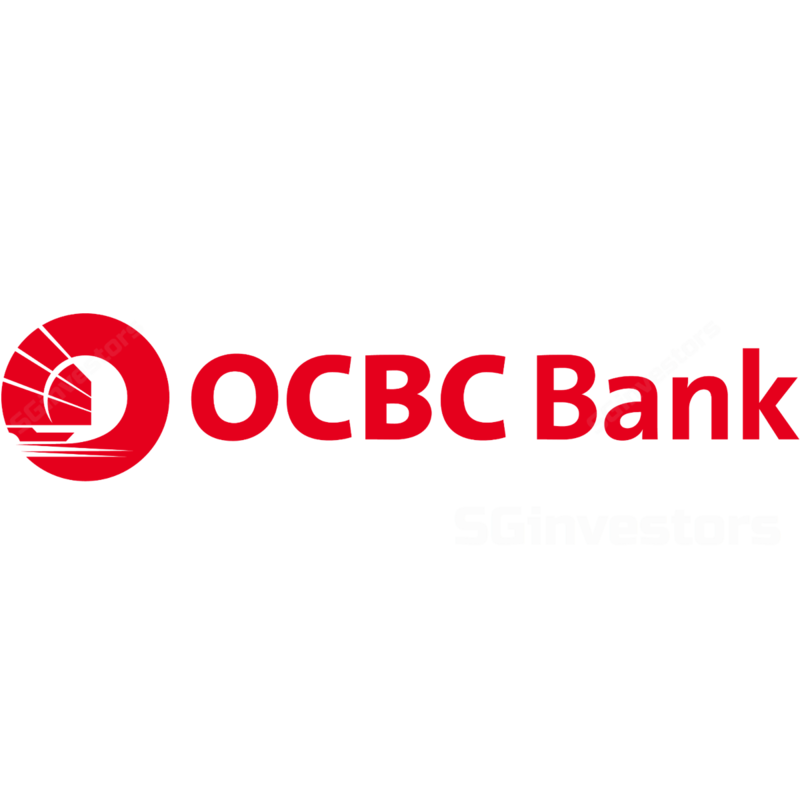 However, OCBC had also significantly reduced its exposure to the OSV sector to S$4.8bn compared to S$5.7bn in 3Q17. Of the S$4.8bn, S$1.9bn was classified as NPL representing 40% of the OSV exposure. - OCBC Wing Hang net profit was down 2% y-o-y. OCBC Wing Hang’s positive NII growth was offset by lower Non-II, higher allowances and operating expense. - Net trading income continues to be weak. Similarly, universal banks and investment banks globally continue to report weak trading income, citing the challenge of low market volatility. We expect OCBC’s loans growth to continue at high single percentage growth in FY18e and we have also improved our loans growth outlook from 6% to c.8% as OCBC’s management has alluded to enough opportunities to deploy capital to grow the business organically. Therefore we expect NII to grow c.9% in FY18e, improving from our previous estimate of c.6% on the back of a moderately strong economy. Other growth catalysts in FY18 will be the stronger real estate related loans in Singapore as enbloc sales transactions start to flow into the market. We also expect OCBC’s Bank of Singapore to benefit from the wealth effects of the enbloc sales in Singapore as vendors from successful enbloc sales will likely engage wealth managers to manage their new found wealth. Greater China business had demonstrated strong traction. OCBC Wing Hang’s FY17 total income grew 13% as a result of strong growth in NII and Non-II. We believe OCBC is confident of growing the franchise in that region and that corroborates with the management’s decision to retain and deploy capital to grow the business instead of paying out more dividends. 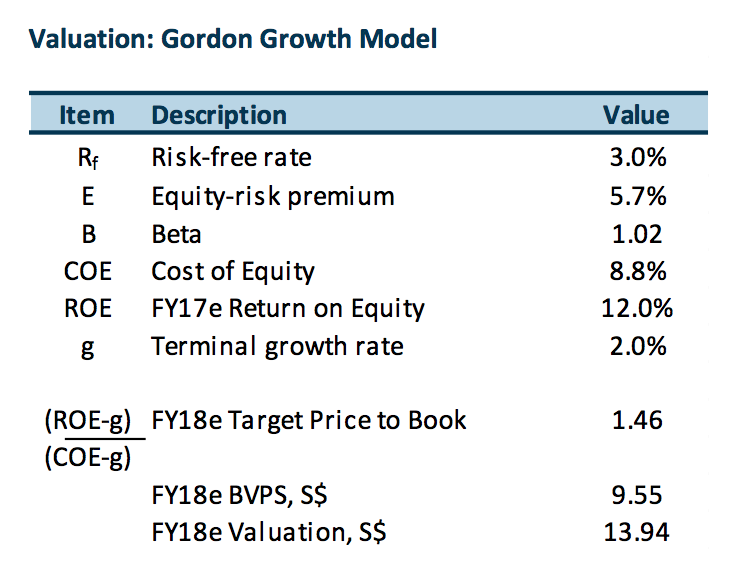 BUY with a higher Target Price of S$13.94 (previous Target Price S$13.48) based on Gordon Growth Model.